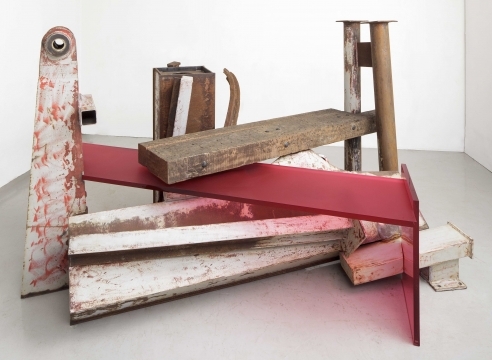 With a career spanning more than sixty years, Sir Anthony Caro (b. 1924) is Britain’s most acclaimed living sculptor. Caro: Close Up is the first exhibition of his work organized by an American museum since a retrospective at the Museum of Modern Art in New York in 1975. Focusing on early drawings and small-scale sculptures in a range of media, the exhibition will bring together more than sixty pieces from the 1950s through the present day. Although Caro is best known for his large, brightly painted abstract sculptures, he has always also worked on a small scale. His early figurative bronzes reveal continuities with later works in steel and bronze that play with the tops, sides, and edges of their table supports. 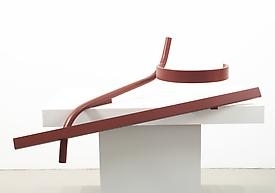 The exhibition will also include some of Caro’s most personal sculptures, which were first made in paper and cardboard, away from his London workshop and assistants, before being cast into metal. Drawing has always been central to his practice, not as designs for sculptures but as another part of his private work. Usually stored in the studio archive, only a handful of these drawings have ever been exhibited. Shown together with his sculptures, they provide fresh insight into the visual research behind Caro’s more familiar abstract art.